1. Cohen SR, Henssler C , Johnston J. 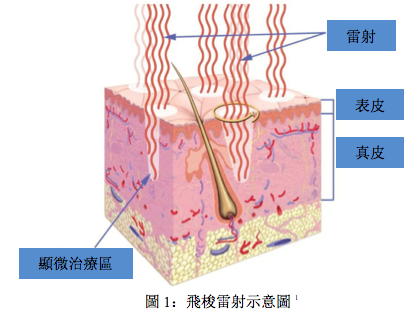 Fractional photothermolysis for skin rejuvenation. Plastic and reconstructive surgery 2009;124:281-90. 2. 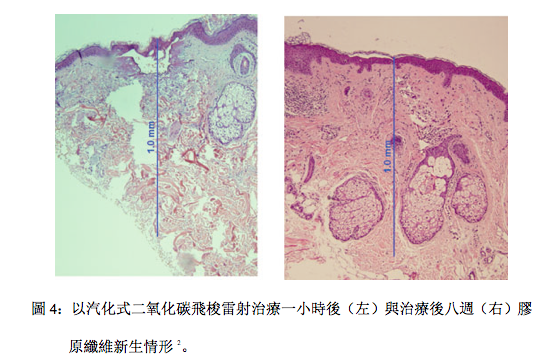 Tierney EP, Hanke CW , Petersen J. Ablative fractionated CO2 laser treatment of photoaging: a clinical and histologic study. 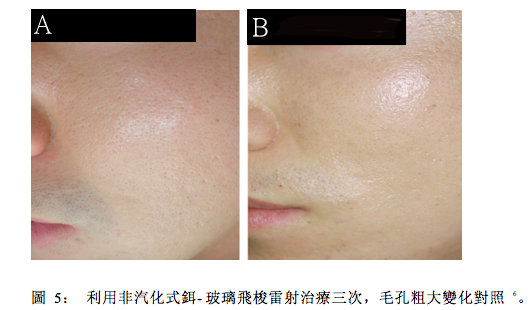 Dermatologic surgery : official publication for American Society for Dermatologic Surgery [et al] 2012;38:1777-89. 3. Lee H, Yoon JS , Lee SY. 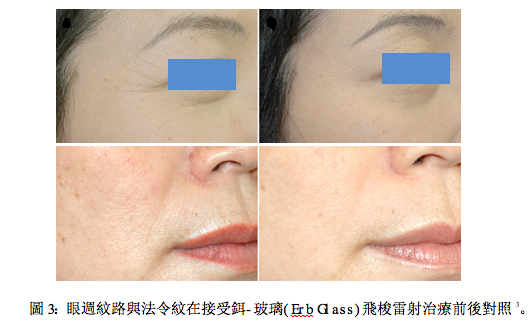 Fractional laser photothermolysis for treatment of facial wrinkles in Asians. Korean journal of ophthalmology : KJO 2009;23:235-9. 4. Hantash BM, Bedi VP, Kapadia B, Rahman Z, Jiang K, Tanner H et al. In vivo histological evaluation of a novel ablative fractional resurfacing device. Lasers in surgery and medicine 2007;39:96-107. 5. Peukert N, Bayer J, Becke D, Zurakowski D, Luger T, Manstein D et al. 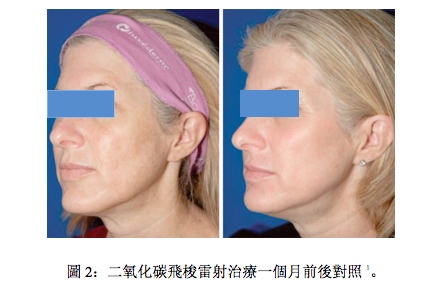 Fractional photothermolysis for the treatment of facial wrinkles - searching for optimal treatment parameters in a randomized study in the split-face design. Journal der Deutschen Dermatologischen Gesellschaft = Journal of the German Society of Dermatology : JDDG 2012;10:898-904. 6. Cho SB, Lee JH, Choi MJ, Lee KY , Oh SH. 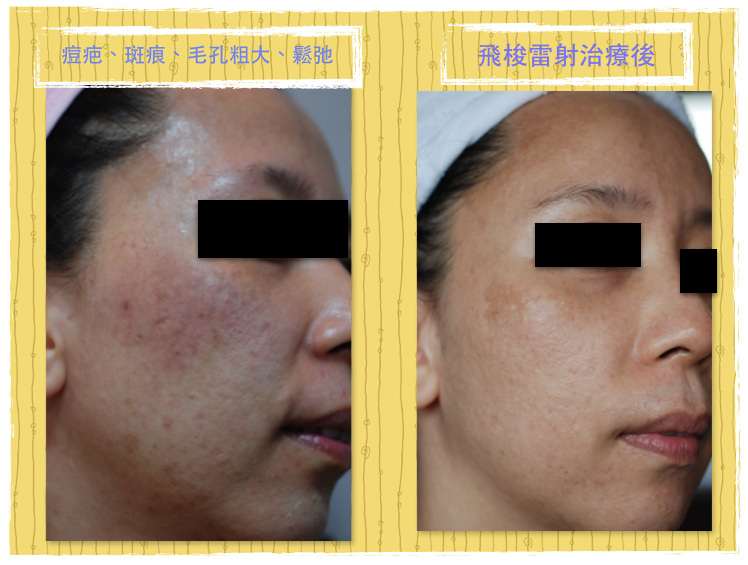 Efficacy of the fractional photothermolysis system with dynamic operating mode on acne scars and enlarged facial pores. Dermatologic surgery : official publication for American Society for Dermatologic Surgery [et al] 2009;35:108-14. 7. Ong MW , Bashir SJ. 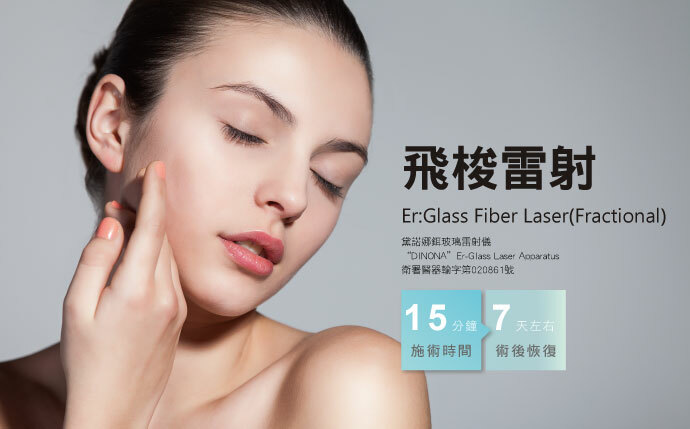 Fractional laser resurfacing for acne scars: a review. The British journal of dermatology 2012;166:1160-9.